If you pass by the desk of Jim Fortin or Dave Story at any point during the day, you’re equally likely to catch them mid-laugh, talking with members of their team, as you are to find them heads down, focused on a complex challenge or set of plans. It’s this harmonious balance of humor, candor, expertise, and commitment that has led Jim and Dave to this meaningful turning point in their careers, both recently promoted to principal at Harriman. For those that know them well, this is no surprise. They’ve long been regarded as leaders – mentoring young staff, developing strong client relationships, and nurturing the inner workings of the business for years now. In the summer of 2006, Harriman welcomed a new crop of engineers and architects in training – among them, a young Dave Story. Fresh off a mechanical engineering degree from the University of New Hampshire, Dave quickly gained notice from now-president (then mechanical engineering department head) Clif Greim for his thoughtful yet forward-thinking approach to client and project management. Over the next twelve-and-a-half years, Dave became a quiet but dynamic force within not only the mechanical team, but the firm as a whole. “Typical engineering answer,” is what Dave will chuckle when you ask him why he loves what he does, “I’ve always been interested in how things work. Still am.” A tinkerer by nature, Dave uses his innate curiosity to solve questions of efficiency, effectiveness, and overall performance for clients predominantly focused in higher education (including at alma mater UNH), manufacturing, and healthcare. Building things – structures, relationships, and, for a brief stint, submarines – has always been at the root of Jim Fortin’s career. Forging a path from Worcester Polytechnic Institute, where he graduated with a degree in civil and structural engineering, to General Dynamics Electric Boat Division in Connecticut (this is where the submarines come in), to Boston, and back home to Maine cemented for Jim the desire to build not only things but connections. “Beyond his technical expertise, Jim has a focus on building strong culture within the organization,” says Sam Forgue, P.E., a civil engineer who works closely with Jim on a day-to-day basis. “He has a real vision to help foster Harriman’s growth into the future.” And the future is where Jim is most keen to make an impact, focusing on not only the (literal) nuts and bolts of project work, but on how to integrate his inherently organizational and project management-minded approach into a holistic strategy for the firm that embraces Harriman’s culture, personality, and collaborative energy. 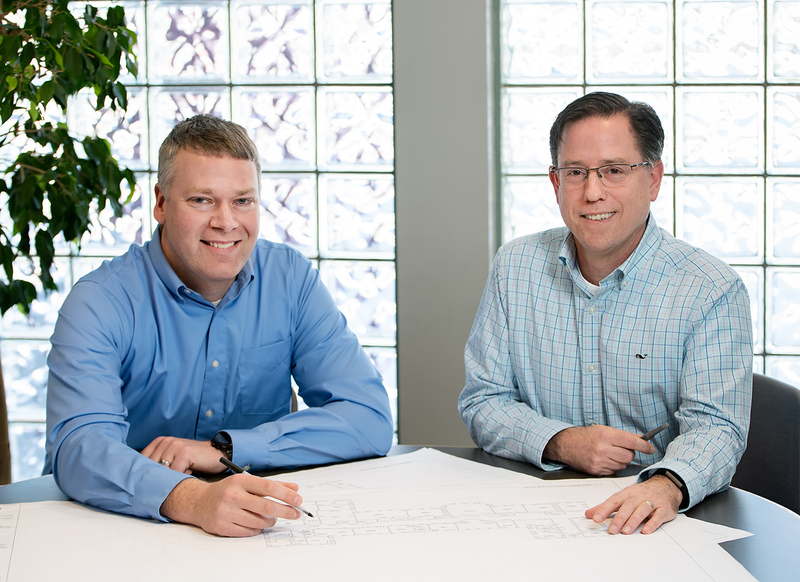 While their titles may have changed, Jim and Dave remain focused on the same core beliefs that have brought them to this point: passion for people, a commitment to excellence, and an analytical and inquisitive spirit. Please join us in congratulating Jim Fortin and Dave Story on this accomplishment; they exemplify the very best that Harriman is, and aspires to be.